Climbing Aconcagua (6961m) is a major goal and a dream for mountaineers from all over the world. Located in the Mendoza Province, in Western Argentina, this majestic peak in the Central Andes is the highest mountain outside of the Himalayas, and the second highest of the Seven Summits. Often undertaken as a preparation expedition for higher Himalayan peaks, climbing Aconcagua is definitely a challenging ascent and a once-in-a lifetime experience. We would like to give you here the information you need regarding costs, to help you decide on your best option to climb this spectacular summit. Prices will depend on the chosen route, guides and agencies, and items included. A regular Normal route 18-day expedition, entering by the Horcones Valley, can cost between USD 3800 and USD 4700. The expedition price will usually cover guiding fee, accommodation, all meals, mules transport to/from base camp, transport during the trip and group equipment. Bear in mind that prices usually do not include the ascent permit fee and that not all of them include personal porters (which is highly recommended if you have never carried a 20-kg backpack at 5000 or 6000 meters). At Explore-Share, you can find several options for climbing Aconcagua with IFMGA certified guides. Check out this 18-day expedition, with local guide Sebastian Tetilla, for USD 4700 or the 20-day ascent with the same guide for USD 4900. This price includes guiding fee, accommodation, all meals, transport during trip and porters. 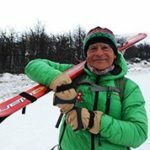 If you are short of time, this 12-day Aconcagua ascent with guide Gaston Oyarzun could be your option, for USD 2900. Be aware that you’ll need to be previously acclimatized. Or, you could join guide Rodrigo Mujica on this 12-day ascent, with an innovative acclimatization method that includes a Hypoxic tent, and a cost of USD 3900. Ascent Permit Fee: for the Normal Route ascent, it ranges between US$ 291 and US$800, depending on the season and on your nationality. You need to process it in person, before the ascent, in the city of Mendoza. Most guides will offer to help you with this. Flight Ticket USA-Buenos Aires. The costs ranges from USD 1000 to 1500 from New York. Try to buy your ticket a few months in advance. Flight Ticket UK-Buenos Aires. From £800, flying from London. Flight ticket Buenos Aires-Mendoza: From USD 120. 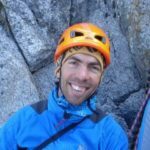 Need more information about this epic ascent? 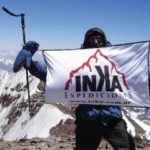 Check out this blog post with all you need to know to climb Aconcagua: routes, climate, equipment, preparation and costs. For extra inspiration, you may also want to read a personal account by Oleskii, an Explore-Share user, who joined a a 12-day ascent, and recalls climbing Aconcagua as “the most powerful emotion” in his life. So, what are you waiting for? Choose your trip, come to the Andes and conquer Aconcagua, one of the legendary Seven Summits!